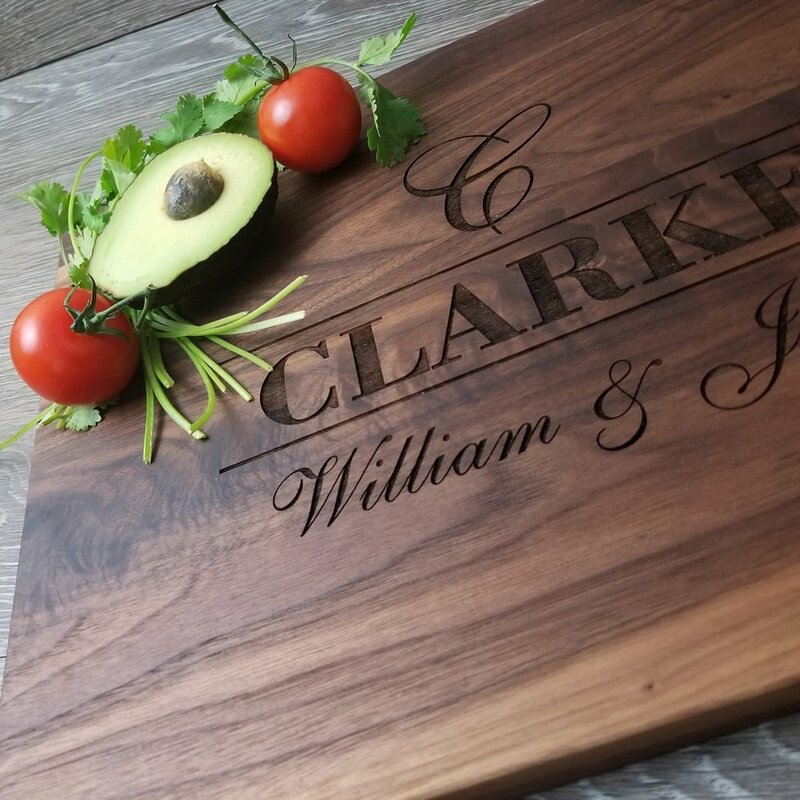 Shop Engrave It Houston is your go-to source for engraved cutting boards, personalized wine accessories, stainless steel wall art, realtor closing gifts, and more! Engraved Cutting Boards | Personalized Wine Accessories | Stainless Steel Wall Art | Realtor Closing Gifts | And More! We’ve done the work to find the 5 best wood types for cutting boards. Now, all you have to do is choose the one you like best. Our wood cutting boards are available in 2 standard sizes: 12”x15” and 6”x15". These personalized engraved cutting boards are a high quality investment that can last a lifetime. These double insulated, stainless steel wine insulators will keep your bottle at the perfect temperature all day long. Select your favorite color and you’ll be able to personalize it with a custom engraved design. 100% stainless steel, beautifully designed and laser cut by our expert craftsmen. (Cold rolled steel available on request.) 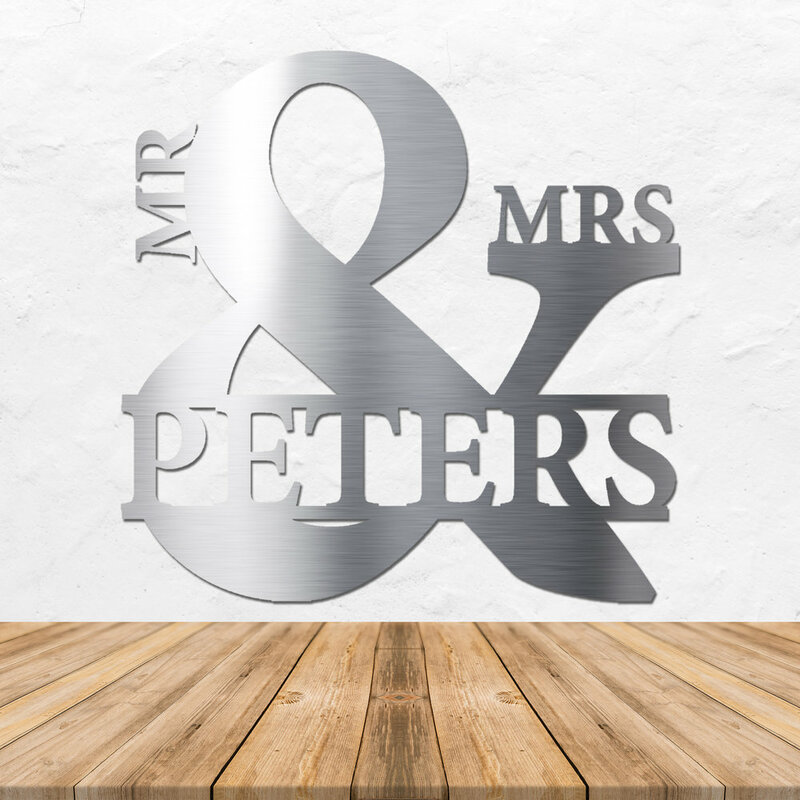 These unique metal wall art pieces are a perfect addition to any home, business, or clubhouse. 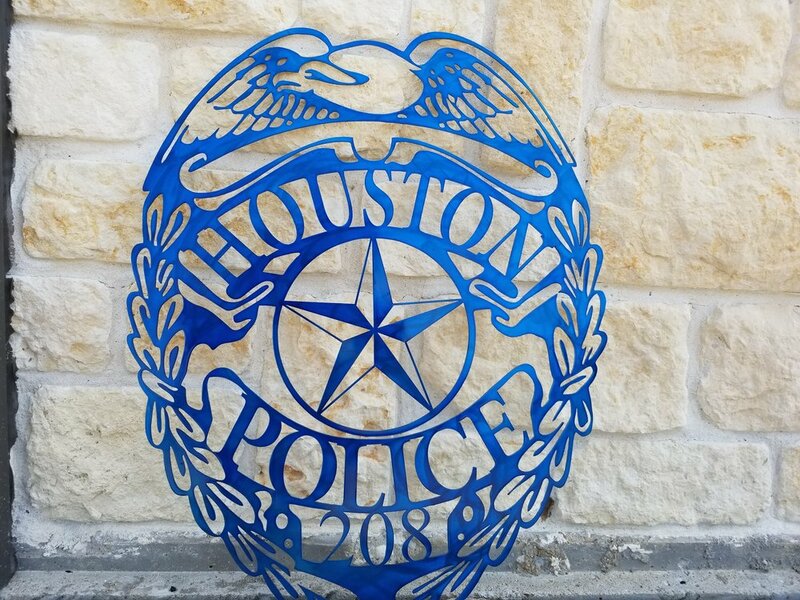 Whether you're looking for Personalized Cutting Boards, Personalized Wine Accessories, or Custom Metal Wall Art, Shop Engrave It Houston has what you need. Every kitchen needs a quality cutting board. Whether you're a serious foodie, or just a casual cuisine-ist, if you plan to cook you're going to need to chop. That's where these beautiful wood cutting boards from Shop Engrave It Houston come in. Ask anyone who has tried to cut raw meat on their countertop, they'll tell you a cutting board is a vital addition to any kitchen arsenal. These personalized engraved cutting boards are high quality investments that can last a lifetime and be handed down through the generations. At Shop Engrave It Houston, we offer a variety of different wood types for our cutting boards. Check out the Cherry Wood Cutting Boards: one of our most popular wood options for cutting board engraving. Try a Maple Wood Cutting Board: wonderfully light and subtle. Customize a Walnut Cutting Board: rich, deep cholocalte in color and velevety in appearance. Order your Sapele Mahogany Cutting Board: an amazing wood variety typically reserved for close friends of master wood workers. Or personalize your own Hickory Wood Cutting Board: one of the toughest, most durable woods available! 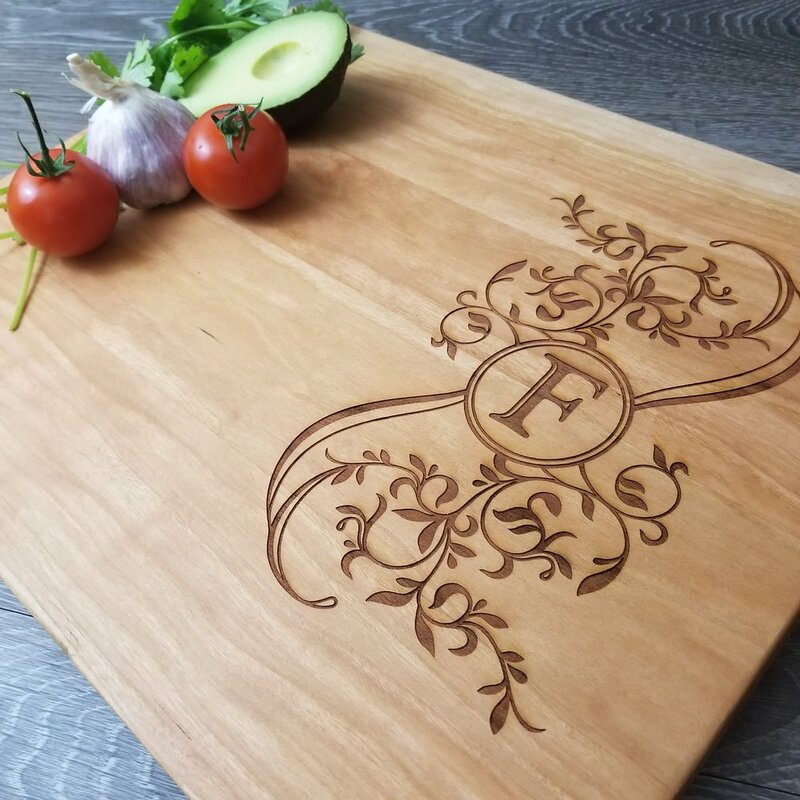 No matter which wood type you go with for your custom engraved cutting board, you're sure to end up with a piece you'll treasure forever. Our wood cutting boards are available in 2 standard sizes: 12"x15" and 6"x15". Each of our cutting boards includes a FREE Laser Engraving. So you can personalized and customize your wood cutting board with one of over 50+ designs we offer. Our wood cutting boards are naturally antimicrobial, which means they automatically fight the spread of germs and bacteria. Our wooden cutting boards are also significantly more gentle on your knives than a plastic, glass, or marble cutting board would be. A glass of wine is one of the most pure pleasures life has to offer. But, that wine needs to be the right temperature to be enjoyed. So how do we keep our wine at the perfect temperature, wherever we are, regardless of what's going on? The answer is simple: Vinglacé. 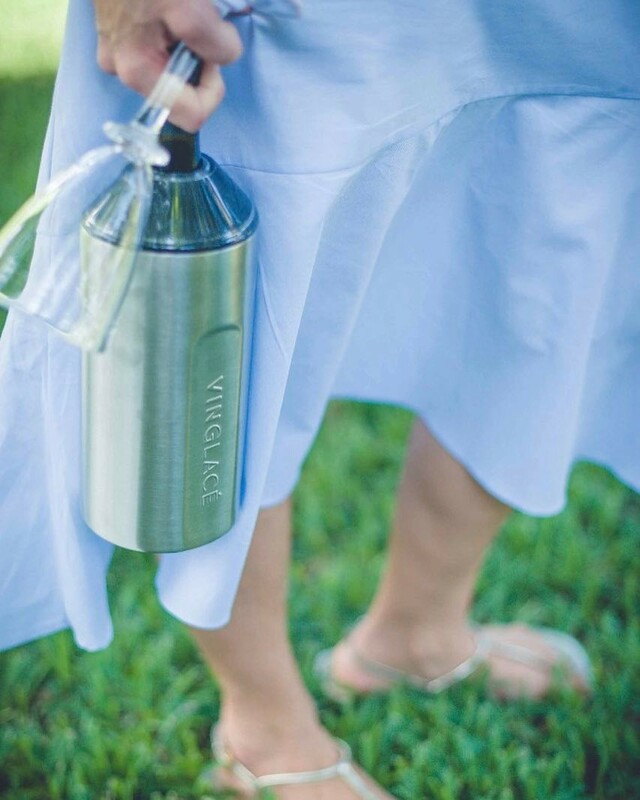 The Vinglace Wine Chiller from Shop Engrave It Houston lets you enjoy your wine or champagne anywhere, anytime. The Vinglace Wine Chiller is incredibly simple, yet surprisingly effective. After removing the top, just slide your bottle of wine or champagne (already at the desired serving temperature) into the stainless steel cannister, and screw on the lid. That's it! It's that easy to have wine or champagne at the perfect temperature all day long! The Vinglace is made from double insulated stainless steel, so it works much the same way your Yeti or Rtic cup does. If your Yeti can keep ice from melting in the heat all day, just imagine what the Vinglace can do for your wine! If you're a wine lover, a wine drinker, a wine appreciator, or just someone who enjoys a drink, the Vinglace Wine Chiller from Shop Engrave It Houston is the solution to all your wine drinking needs. 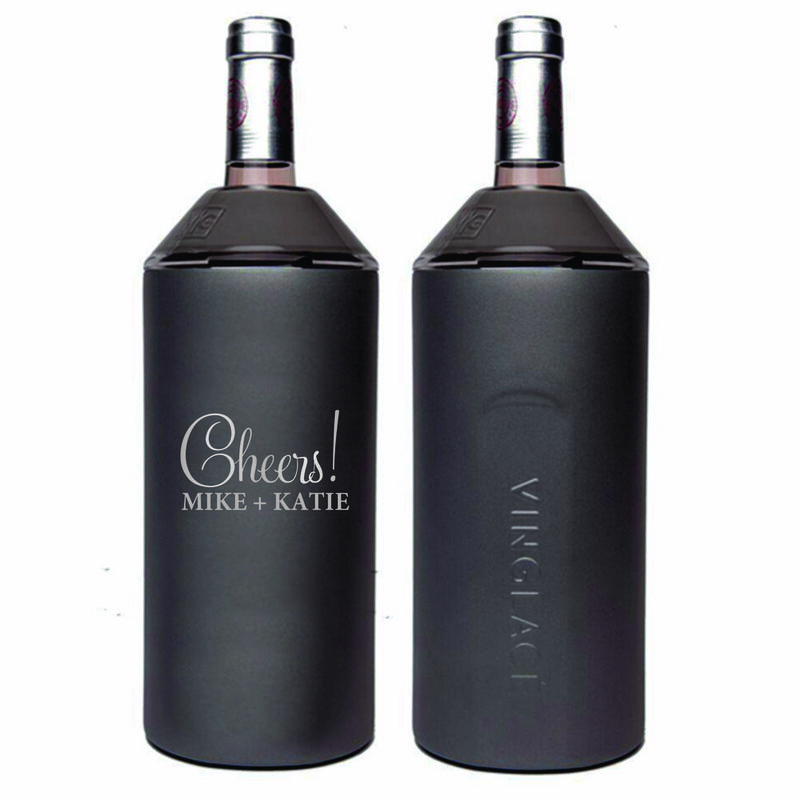 We don't just sell these awesome Vinglace Wine Chillers, we also personalize and engrave them! When you select the Vinglace with your desired finish, you'll be given the option to select a custom design to have engraved on your Vinglace. Talk about one stop shopping! At Shop Engrave It Houston, we're all about making your life easier. That's why all of our products, including the Vinglace Wine Chillers have the option to be custom engraved and personalized with a design of your choosing! You can order your custom engraved Vinglace Wine Chiller from the comfort of your own home, and we'll even deliver it right to your door. How's that for easy? Do you have a wine lover in your life? Maybe it's you. Maybe it's a friend or relative. Whatever the case may be, when you're looking for that perfect gift for the wine lover in your life, look no further than the Vinglace Wine Chiller. Whether they're into white, reds, or bubbles, the Vinglace Wine Chiller is the perfect gift. 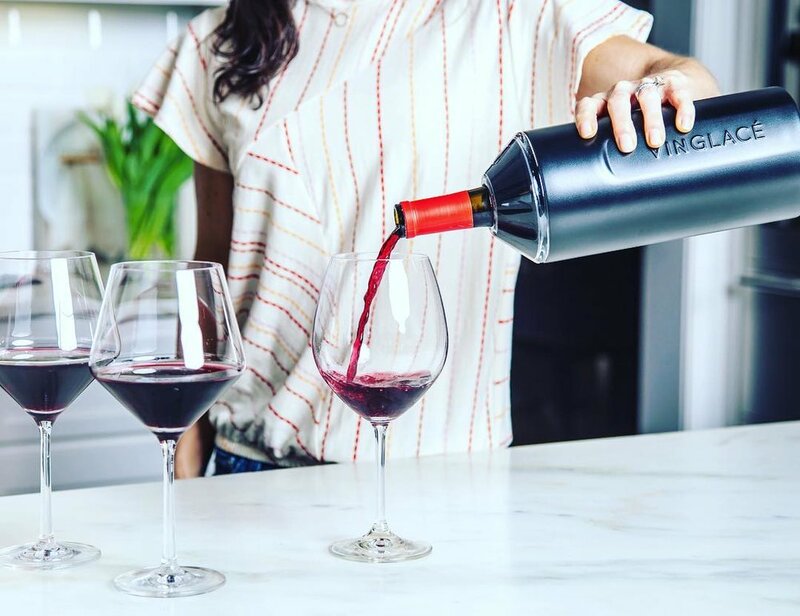 It revolutionizes the way people drink wine, which is great news for wine lovers. Elevate your gift giving game to the next level by having the Vinglace Wine Chiller custom engraved and personalized with the info of the wine lover in your life. Our wine design center has over 40+ designs to choose from. Or, you can upload a design of your own! Whatever customization option you choose, a Vinglace Wine Chiller from Shop Engrave It Houston is the #1 gift for the wine lover in your life. These beautiful Custom Engraved Stainless Steel Wine Glasses are a must have for any wine lover. 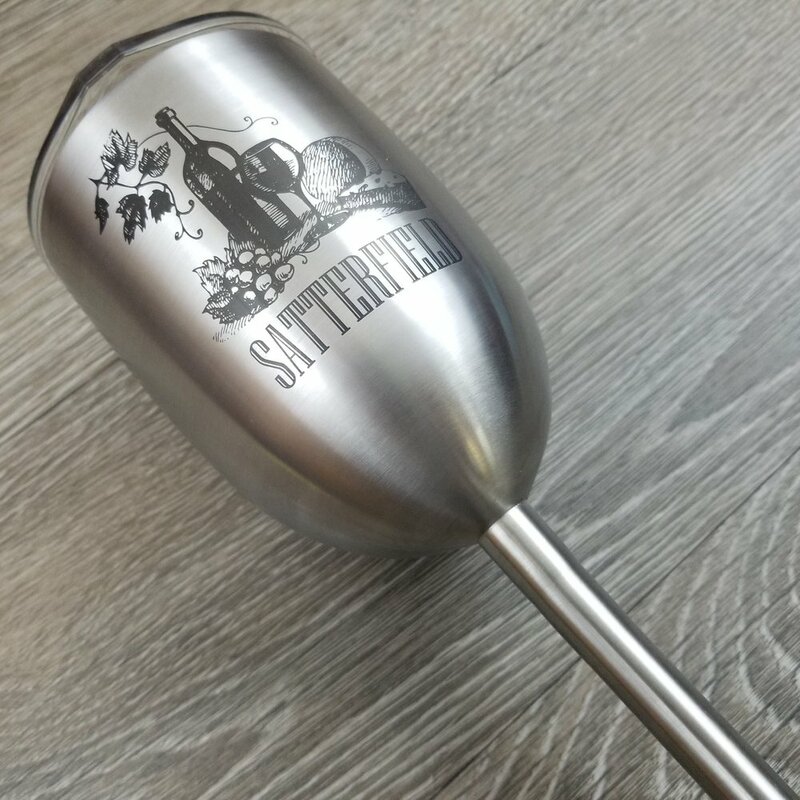 Made from double insultated stainless steel (much like a Yeti or Rtic tumbler) these Stainless Steel Wine Glasses keep your wine the perfect temperature all day. 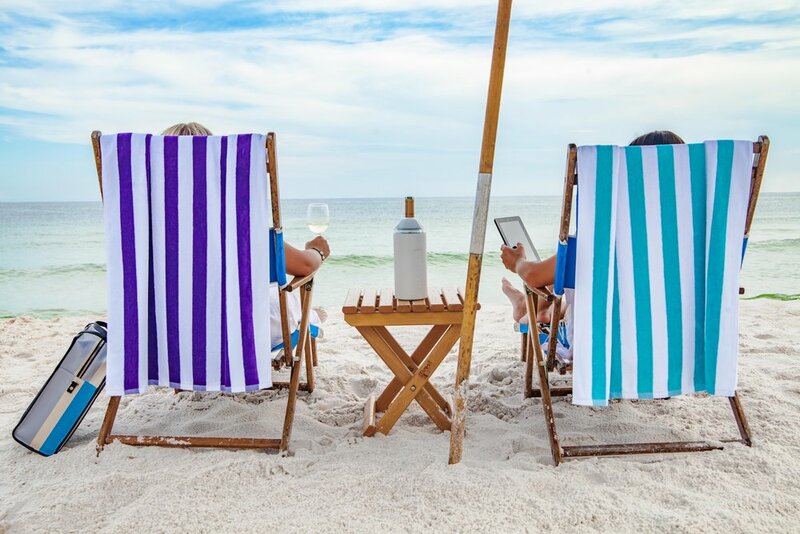 A perfect addition to any home entertaining set, or perfect for picnics and wine on the go, whatever the occasion may be - you're going to want one of these Personalized Wine Glasses from Shop Engrave It Houston by your side. Custom is what we do at Shop Engrave It Houston. And our Engraved Wine Glasses are no different. Choose from over 40+ designs created by our skilled team of in-house designers. Then, make it your own by adding your info. Each Personalized Wine Glass is made to order, and precision laser engraved by our expert craftsmen. Sign up with your email to save 10% on your next order! You also gain access to awesome deals, savings, and special offers! Follow us on social media for exclusive offers, awesome giveaways, and the occasional cat meme.